Since there are a lot of options in the market, choosing an LMS that can shape employee training programs to make them more efficient could be a time consuming and challenging task. Here are few tips to help you in your search for the best LMS for your business. Before you start your search for the perfect LMS, you need to know the goals that you want to achieve with the product, your expectations for that product, and your team’s needs. Talking to your audiences and other important people in the organization is the best way to find out all of this. Also, it is essential to have a good understanding of who will be the part of your training and how many learners you will have. Depending on the type of your audience, you will need the LMS. Is definitely one of the most important factors to be considered when you pick your LMS. Most of the systems in the market today are capable of handling any type of content. But it would be better if you double-check that the one you selected can deploy all the content whether video, PDF documents, interactive activities, audio, PowerPoint presentations, etc. to match your learners’ needs. Prioritize the features that you want in your LMS to meet the goals you have set for your learners. What do you want – mobile support, single sign-on, or impersonation that allows an admin view of the LMS from a learner’s perspective without needing access to their login password. One of the most sought-after requirement when you hunt for the best learning management system is scalability. The LMS you adopt should be capable of adapting to the evolving needs of your business. Pick the one that can support a large amount of data and users, manage users into different branches, and can handle sizeable concurrent user groups. With the current market being flooded with hundreds of LMS providers and pricing models. When deciding on the budget for the product, don’t forget to include additional costs like custom integrations and implementation and consulting fees. There are companies that also charge a hosting fee. Before you make your choice, make sure to identify any other potential costs associated with the product. Keep these tips in mind when you are on a hunt for the ideal LMS for the development and learning needs of your organization. You can also do a bit of research by reading users’ reviews and assessing the vendor’s services and clients before making a decision. 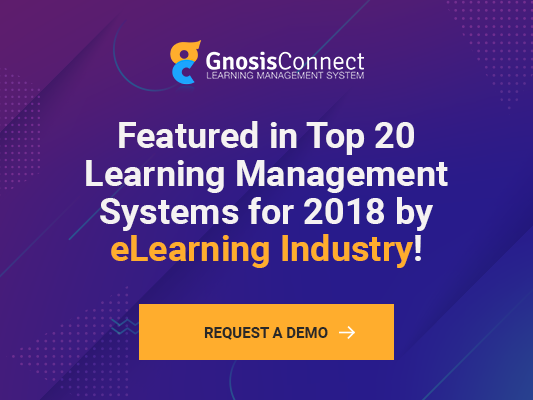 If you are still left wondering which is the best LMS in the market today, try GnosisConnect LMS from InfoPro Learning. To read more about the platform, visit https://www.gnosisconnect.com/. She is an instructional designer with Infopro Learning who has a passion for learning for all and designing learning courses open for every learner.